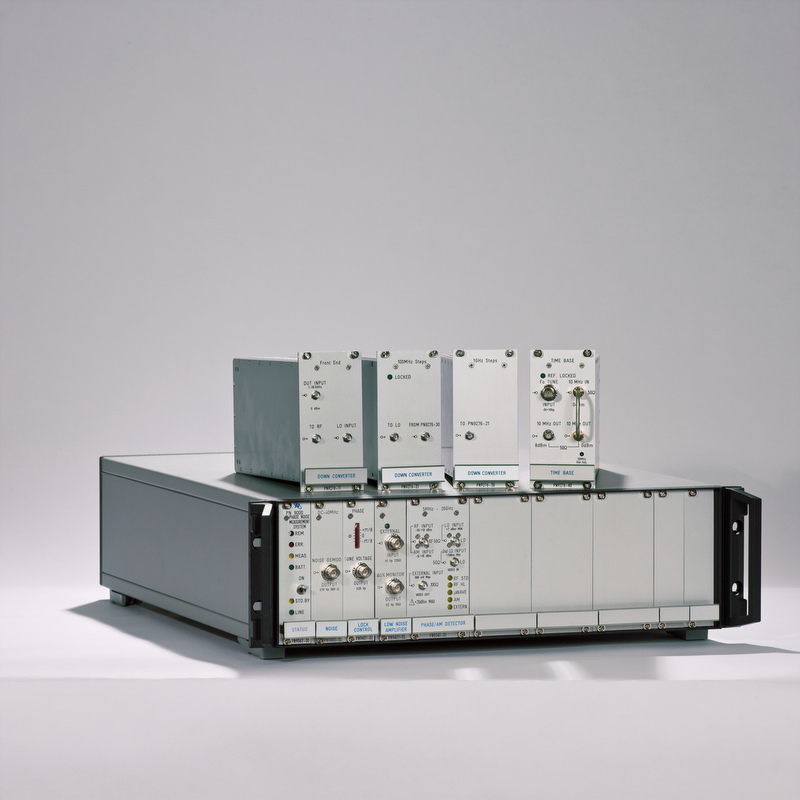 The PN9000 is a simple and fast Automatic Phase Noise Test System covering a very wide frequency range. 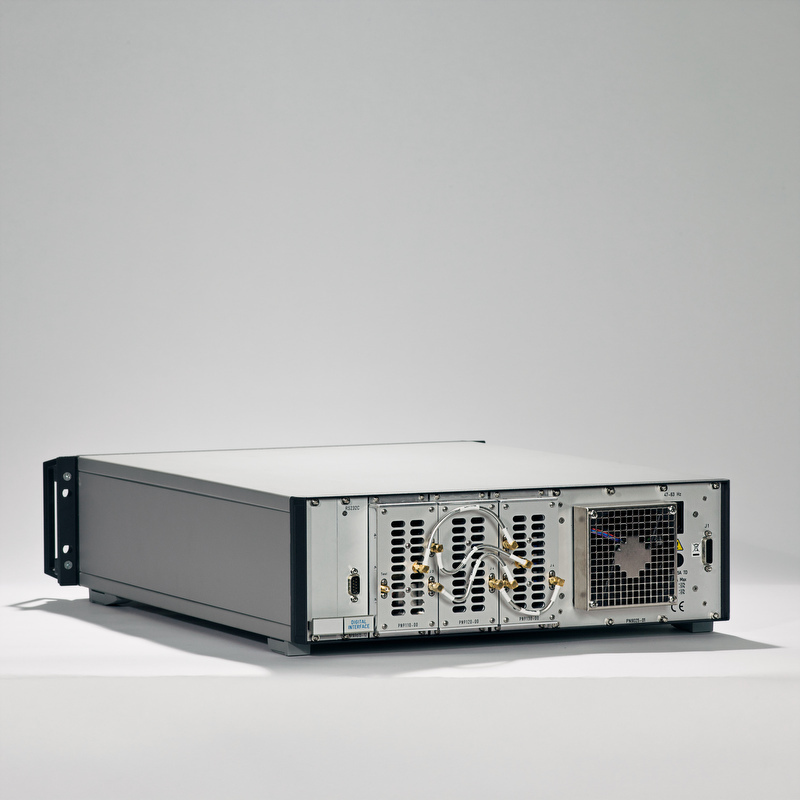 Its modular architecture allows optimum configuration, multiple measurement techniques and future growth in a NIST tested instrument. Why the PN9000 Series ? For more specification please download our PN9000 shortform datasheet or request the PN9000 brochure that includes many options test examples. 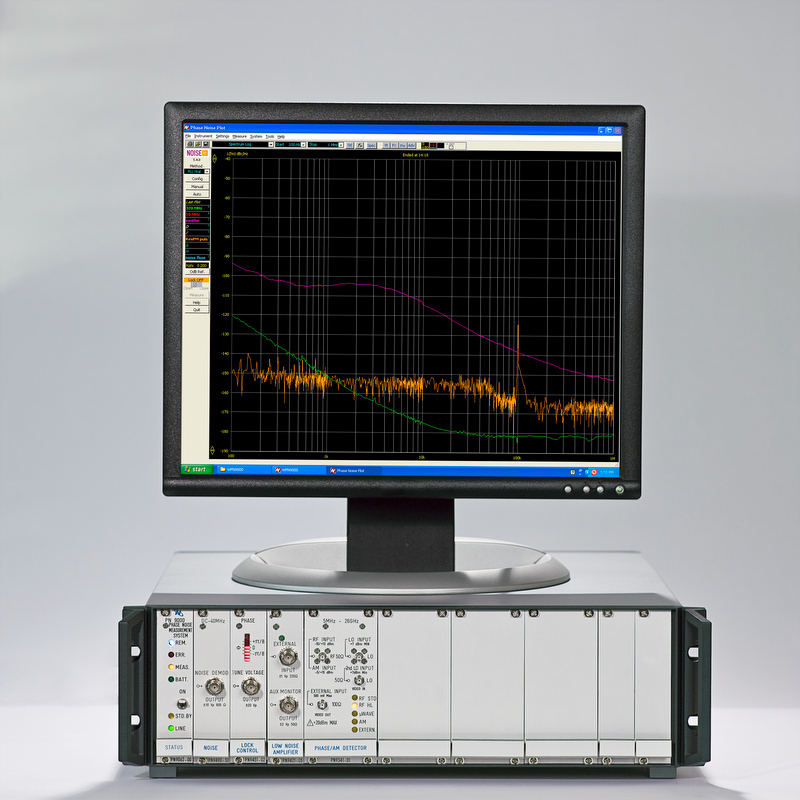 PN9100: Internal low noise reference signal generator, 2 MHz to 4.5 GHz, options to 18 GHz, usable to 50 GHz. PN9276: Internal microwave down-converter, 1.7 to 26.5 or 40 GHz. PN95xx: Internal reference crystal oscillators with ultra-low phase and amplitude noise. PN984x: Internal Residual/Added Noise Phase Shifters and Splitters. Many other options available as standard. We also offer custom modules to better suit your application. What does Noise XT do ?